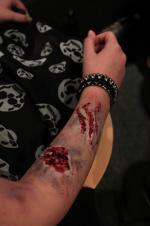 Teen Mayhem is our strand dedicated to young viewers. 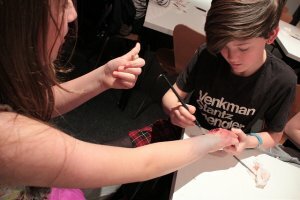 In 2015, we asked seven young programmers aged 10-13 to help us curate the programme. 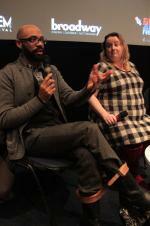 They also introduced each film and took part in our guested Q&As. 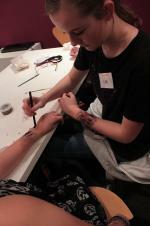 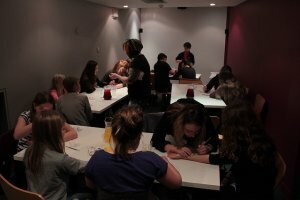 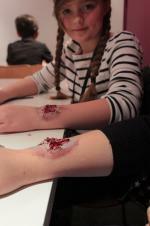 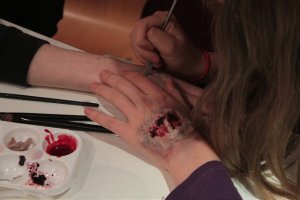 SFX make-up designer Jayne Hyman supervises the session. 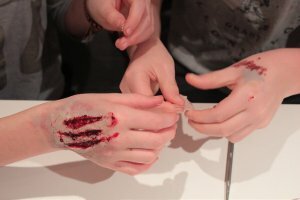 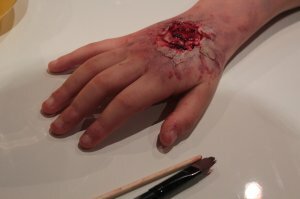 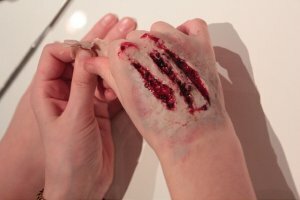 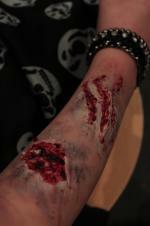 An example wound, by Jayne Hyman - werewolf claws and bite! 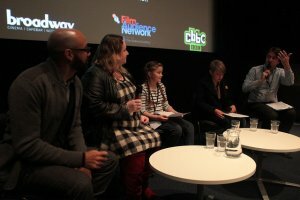 Co-creators David Chikwe and Emma Reeves, with Young Programmers Ava Johnson and Myles Somerton, and Mayhem's Steven Sheil. 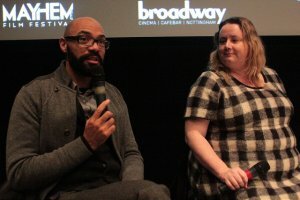 Co-creators David Chikwe and Emma Reeves. 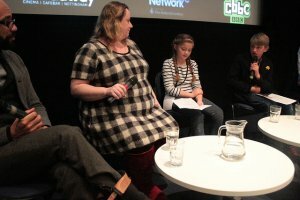 Co-creators David Chikwe and Emma Reeves, with Young Programmers Ava Johnson and Myles Somerton.